PM Modi got lucky in the early part of his tenure when crude prices fell sharply. But in the run up to the elections, his luck on the economic front seems to have run out. There is a saying that is often attributed to Napolean Bonaparte: "I would rather have a general who was lucky than one who was good." Way back in 2015, during a speech on the eve of the Delhi legislature elections, Prime Minister Narendra Modi had taunted the Congress with a somewhat similar statement. The Congress had been harping on his luck - because of global crude prices had started cooling down - and attributing that as the main factor behind his eight month old government's success in bringing down prices. "Ok, let's accept that I am lucky but you have saved money. If Modi's luck is benefitting the people, what can be more fortunate? If because of my good luck, prices of petrol and diesel get reduced and common man saves more, then what is need for bringing someone who is unlucky?" The Prime Minister had said. 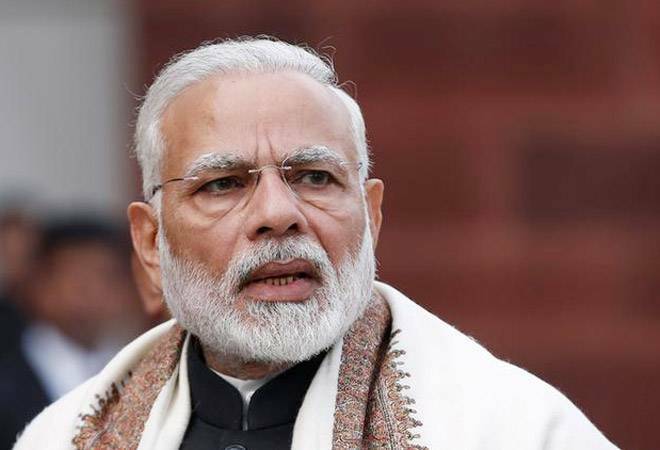 In the run up to the major state elections later this year in Madhya Pradesh, Rajasthan and Chhattisgarh, and next year's general elections, Prime Minister Modi might be wondering whether luck has deserted him at a crucial hour. Despite clocking 8.2 per cent GDP growth in the first quarter of this financial year, the number of worries about the Indian economy is only growing. In barely a month and a half, the government which seemed firmly in control of the economy now seems to be grappling with one crisis after another - both on the macro front as well as in terms of the micro economy. Oil prices, which had plunged and given the Modi government an unexpected bonanza in the first two years of its tenure have started rising. It is at $85 a barrel, and analysts are already talking about crude going past $100 a barrel in the near future - and worse, staying there. The US sanctions on Iran are likely to make sure that oil prices do not come down anytime in the near future. To keep consumers from getting unhappier, the government has had to cut excise duty on petrol and fuel - at a time when it could ill afford to lose out on that revenue. And it might need to cut more as the elections get closer. Meanwhile, the rupee, which had held its position against the dollar for a good three and a half years of the Modi government, is plunging like never before. At the time of writing this column, it had slid past Rs 73 to a dollar, and analysts were hoping that the fall would be arrested at Rs 74 to a dollar. The rising oil prices and falling rupee is in turn reflected in the rising current account deficit, which is causing a lot of sleepless nights in the finance ministry. Meanwhile, whatever gains have accrued from the direct tax collections have been more than negated by the shortfall in the GST collections, which have been well below target in the first five months of this fiscal. What is worrying the government is that the RBI might try to stem the fall of the rupee by hiking interest rates - a somewhat unpalatable option for any government which is trying to kick boost lackluster private investment. The fact that the trade war unleashed by US President Donal Trump could in turn roil the Indian exporters is also a worry they have to deal with. If those global headwinds were not bad enough, the Prime Minister and Finance Minister Arun Jaitley also have to deal with a host of domestic problems. The twin balance sheet problem, which former chief economist to the finance ministry Arvind Subramanian had talked about, is yet to be resolved. The Public Sector Banks are still grappling with bad loans and meantime other financial intermediaries are also giving out bad news. The IL&FS defaults could not have come at a worse time for the government. Meanwhile, the private sector banks have also turned cautious about lending big sums to businessmen. And private sector companies themselves are not investing in fresh greenfield projects. A CMIE report shows that fresh private projects have plunged. Even the rain God seems to have abandoned the government. After two years of good rains, the forecast was for another year of normal rains. But the rainfall has been pretty patchy this year - with floods and excess rainfall in some areas, and drought or near drought conditions in others. All in all, not a very good year when farmers are already unhappy about lack of income growth. The problem for the government is that a big part of the economic headwinds it faces are completely out its control. And there is nothing Prime Minister Modi can do unless luck starts favouring him again - and the global crude prices start cooling down.